This week was my birthday (I hit the big 3-0!) and I was going out to celebrate with friends over the weekend. 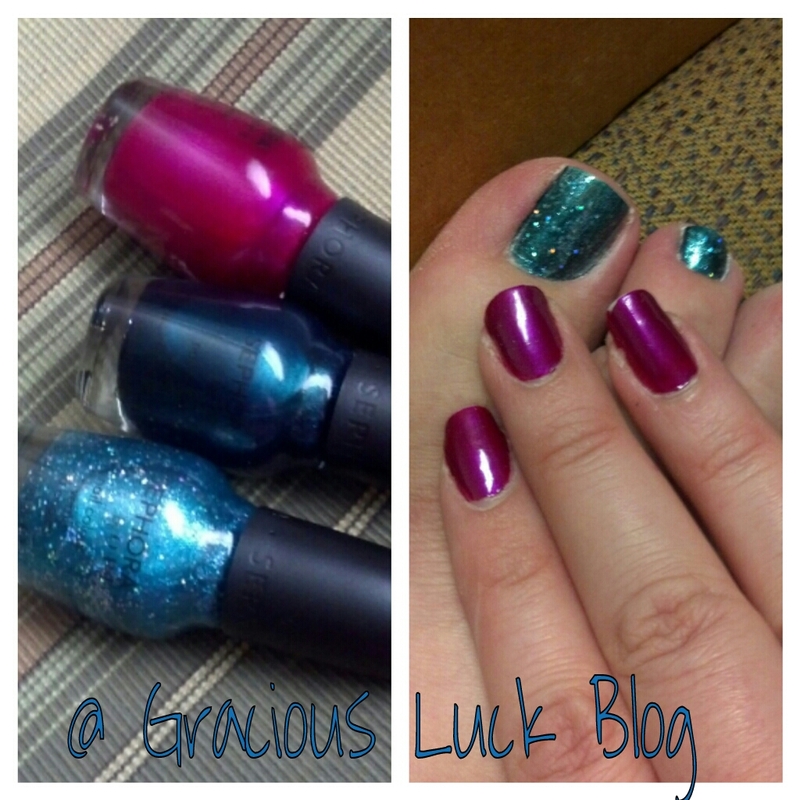 I chose to share my mani & pedi this week since I re-did them both before the celebrating started! On my tootsies is Sephora by OPI in “Teal We Meet Again” (bottom coat) and then I topped it with “I’m So Sari!”. I liked how the bigger glitter picked up the light and wanted to do something fun on my toes. On my nails I went back to Sephora by OPI in “Henna-thing Is Possible” – I love this color its the perfect magenta color for me! Thanks for stopping by Gracious Luck – have a fantastic day! Frugal Friday ~ Recycle and Save $$$$!!! I really like those colors! It seems to have turned out well. love the color on your toenails!!!! !